Yuki has a secret...she smells the dead. 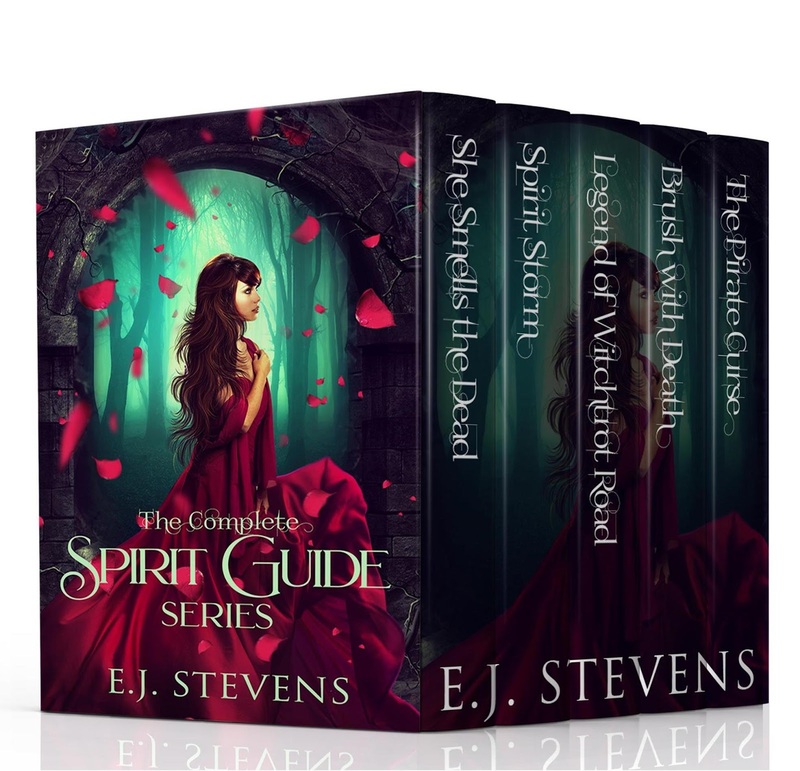 This set includes all five books in the Spirit Guide young adult paranormal mystery series from award-winning author E.J. Stevens. "This series is like Nancy Drew meets the Winchester Brothers from Supernatural." She Smells the Dead is the first book in the Spirit Guide young adult paranormal series by E.J. Stevens. She Smells the Dead now available in trade paperback and ebook at Amazon, Smashwords, Barnes and Noble, and other fine retailers. Let the spirits guide you, but never let them take you. Spirit Storm is the second book in the Spirit Guide young adult paranormal series by E.J. Stevens. 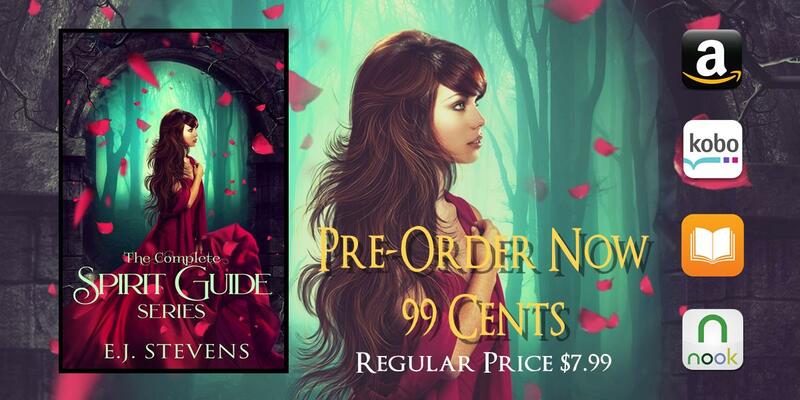 "Fans of Rachel Hawkins Hex Hall Series and Lauren Kate's Fallen Series will love this!" Spirit Storm now available in trade paperback and ebook at Amazon, Smashwords, Barnes and Noble, and other fine retailers. 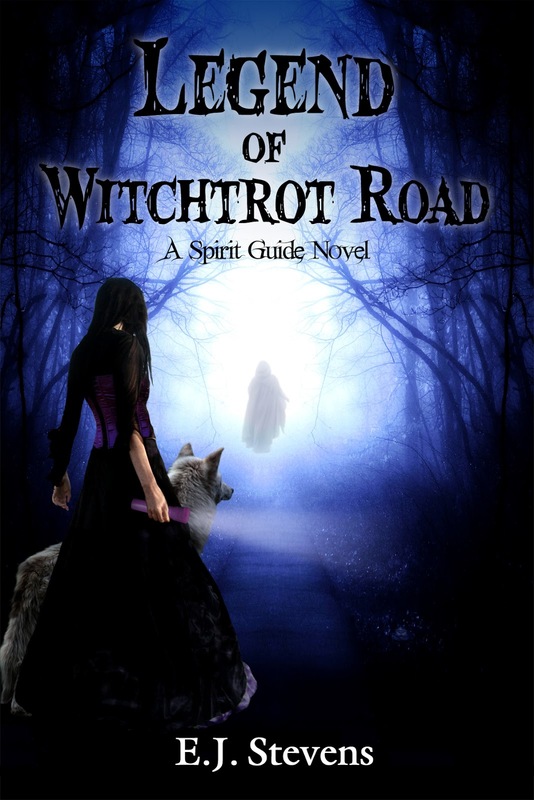 Legend of Witchtrot Road is the third novel in the Spirit Guide young adult paranormal series. "I didn't think it possible to fall even more in love with this series (and the characters, oh the amazingly swoon-worthy male characters and the super snarky female characters), but after having read this book, the third installment of this series, I found that it is indeed possible." "I just adore this series. It is so much fun to read and the characters are just so unique and unlike any others out there." "This is an awesome series and I would suggest it for anyone that loves YA!" "These books are brilliant- such a wonderful mix of mystery and magic with really quirky and lovable characters." Legend of Witchtrot Road now available in trade paperback and ebook at Amazon, Smashwords, Barnes and Noble, and other fine retailers. Until last winter, Yuki could only smell the dead, but the touch of death's embrace has awakened latent powers. With the help of her friends, Yuki must face her new abilities. Will her psychic powers become the curse they all have feared? Curse or gift, Yuki's new vision begins leading her down an unknown path, but is it a road that only she can follow? Emma's close encounter of the death kind has her questioning her future as well. Until now she had it all--brains, beauty, conviction, fabulous friends, and a scholarship to Tufts Veterinary School. She knew exactly what she wanted and how to get it. Emma had a plan for everything, but she never bargained for her own traitorous emotions. When graduation comes, will Emma follow her dreams...or her heart? Brush with Death is the fourth novel in the young adult Spirit Guide series by E.J. Stevens. 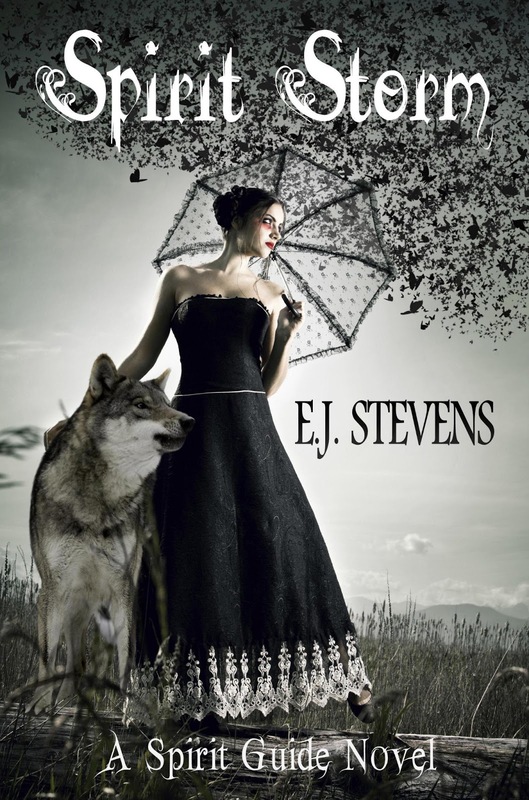 "Stevens has managed to once again create a wonderful mystery filled with characters that are not only loveable but completely realistic and unforgettable." "I adore this series, and I think every young girl should read this before she reads Twilight. Yuki is not challenged with dying, she challenges living life to the fullest. She began this series as a young Goth girl in the corners of High School being picked on, and now is growing up to be someone any mother can be proud of; strong, intelligent, and a sense of humor to not always take herself too seriously!" "Fist bump to Ms. Stevens for once again giving us a good mystery, a little romance, ghosts, wolves, hunky guys and two of the cutest, quirkiest girls I've ever met." "This is by far the best book of the series and I hope you're ready to be torn apart and stitched back together again when you read it, because that's exactly what happened to me. Yuki was broken, Calvin was broken, Emma was broken, I was broken - but E.J. slammed us all back together and it wasn't awful, it was good. I'm invested and I absolutely cannot wait to see where Stevens takes us next." Brush with Death now available in trade paperback and ebook at Amazon, Smashwords, Barnes and Noble, and other fine retailers. When Yuki starts smelling salt brine and seaweed, she finds her summer vacation hijacked by pirates...the DEAD kind. Will the ghost of Black Sam Bellamy, Prince of Pirates, lead Yuki and her friends to treasure or terror? A new Spirit Guide adventure you won't want to miss! 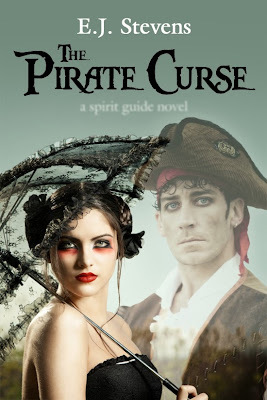 The Pirate Curse is the fifth and final novel in the Spirit Guide young adult series by E.J. Stevens. "It is sad to see this series end but I am completely satisfied with the way it all did. The epilogue was wonderful and exactly what I needed in order to say goodbye to this wonderful group of characters." The Pirate Curse available now in trade paperback and ebook at Amazon, Smashwords, Barnes and Noble, and other fine retailers. She Smells the Dead nominated for Best Young Adult Paranormal Novel in the 2011 YA Book Battle. She Smells the Dead and Spirit Storm have both made Amazon's 100 Top Rated Books with Ghosts list. Spirit Storm has spent time on Amazon's 100 Top Rated Mystery Books with Woman Sleuths list. Spirit Storm was an IBD Award Winner. 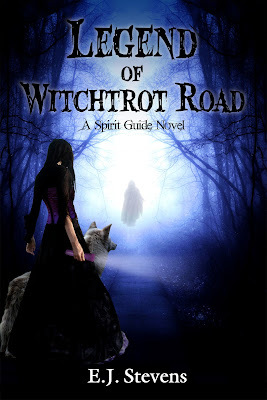 Legend of Witchtrot Road nominated for Best Young Adult Paranormal Novel the 2011 PRG Reviewer's Choice Awards. 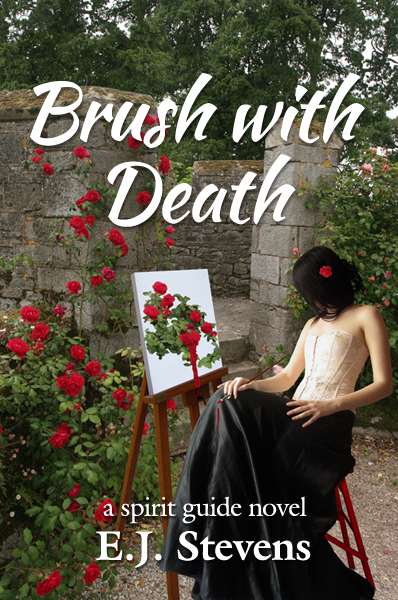 Brush with Death nominated for Best Young Adult Paranormal Novel and received an Honorable Mention in the 2012 PRG Reviewer's Choice Awards. The Spirit Guide series won third place for Best Young Adult Paranormal Series in the 2012 PRG Reviewer's Choice Awards. "Emma was doing something nice for Simon? Hell must be enjoying the snow day." "My heart, always so strong in the past, was like the fishnet stockings that clung to my legs—torn, shredded, and full of gaping holes."